On Tuesday, September 15, 2015, Professor Ilya Somin visited NYU Law to speak about his new book, The Grasping Hand: Kelo v. City of New London and the Limits of Eminent Domain. Professor Richard Epstein provided commentary. 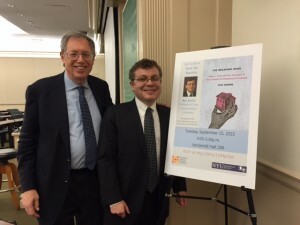 This event was co-sponsored with the NYU Federalist Society. 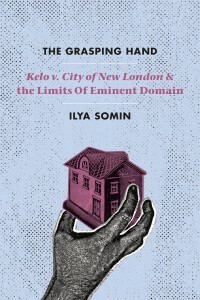 Ilya Somin is a Professor of Law at George Mason University School of Law and an author of many articles and several books. He is a regular contributor to the Washington Post’s Volokh Conspiracy blog. His full biography is available here.